At E3 2015, 3 Tom Clancy games were shown.. 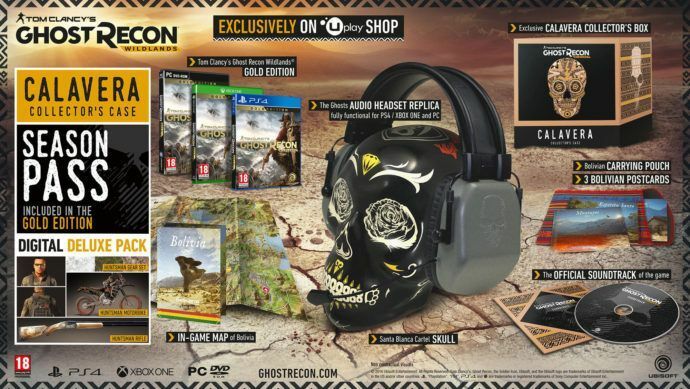 But the one that stood out for me was Ghost Recon: Wildlands. 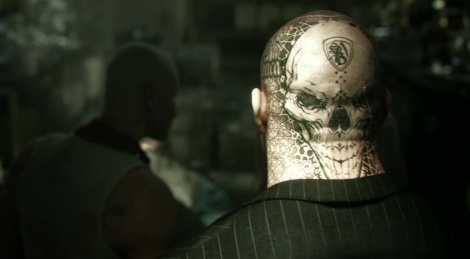 Always thought the Ghost Recon franchise was the coolest looking among the Tom Clancy games and in Wildlands, they are going up against South American drug cartels who have some of the sickest-looking criminals. 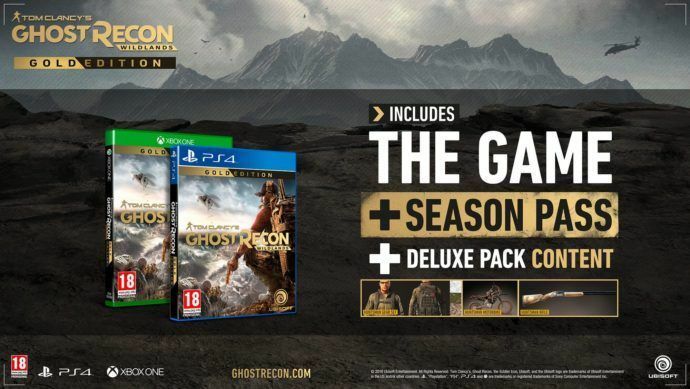 and here's the latest trailer..
Looks massive. 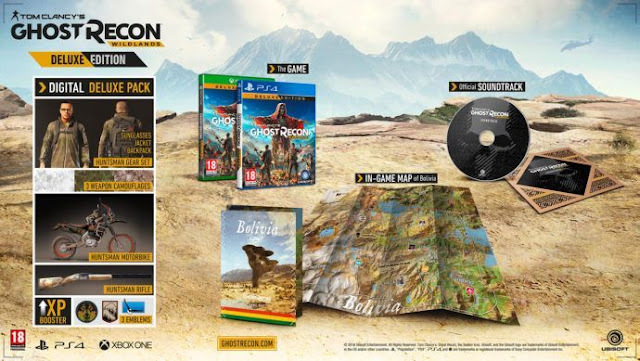 Very different environments probably in different parts of the map. Also could there be a weather/season system in the game? There looks to be plenty of vehicles available to the player, which is cool. 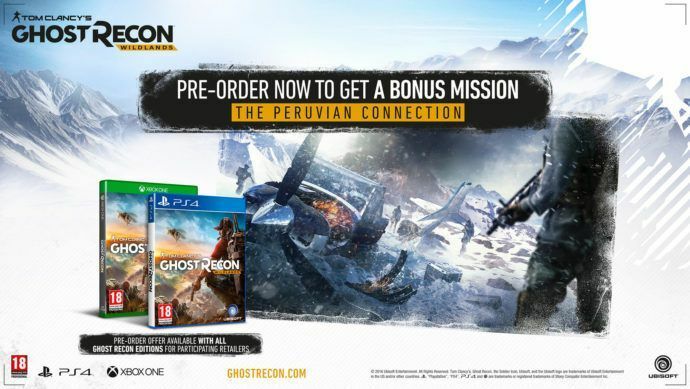 Might be able to take different approaches to the variety of missions available. I'm just a little concerned, especially after hearing about all the issues that The Division is facing. 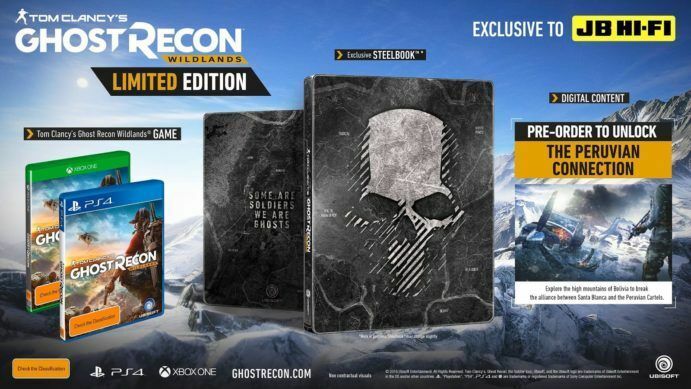 Ubisoft seems pretty confident that this will sell well, having announced several different special editions for the game. 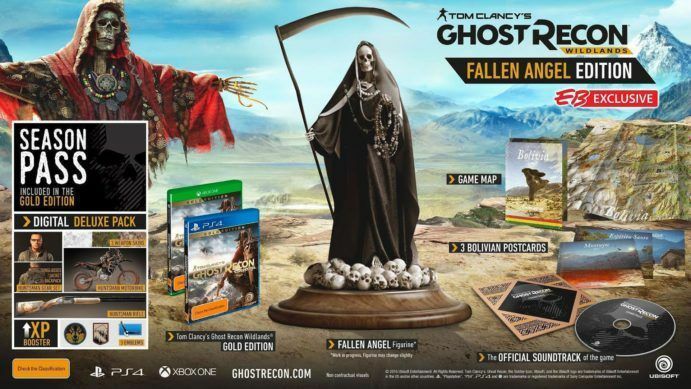 I always like to go big or none at all, so my eyes are definitely set on the Calavera Collector's Case and the Fallen Angel Edition for the statues. However, I'm trying to be a bit more restrictive on the purchases, so I want to be fully confident the game won't disappoint and more importantly not have major problems. Please don't disappoint!